From our 17 years experiences in sales and marketing of telecommunication equipment business since 1983, which lead to the establishment of Rometel Co., Ltd in 2000 (October 16, 2000), together with our goal in providing sales and distribution of complete range of telecommunication equipment in the Kingdom of Thailand. Rometel Co., Ltd has grown continuously and has relocated our office location from 222/27 Soi Phaholyothin 49/1, Phaholyothin Rd., Bangkhen Market, Laksi, Bangkok to new office location at 222/255 Soi Vibhavadi Rangsit 60 Yaek 18, Bangkhen Market, Laksi, Bangkok since June 1, 2004. BI Communications Plc (United Kingdom): TDR Cable Fault Locator & LAN Cable Tester. Greenlee (USA): Copper & Optical Fiber Tester. 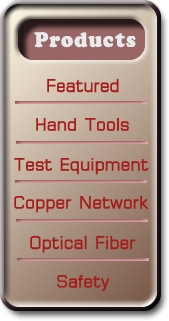 Wilcom Inc. (USA): Copper & Optical Fiber Tester. 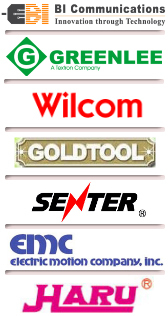 Gold Tool (Taiwan): Tools and Telecom Tester. Electric Motion Company, Inc. (USA): Bonding & Grounding Products. HARU (Taiwan): Line Construction & Safety Equipments. Rometel Co., Ltd also provides variety of other quality products to complete your requirement in telecommunication, in which you may find in our webpage or you may contact us directly for enquiry.